Engagement Isn't Enough - Alignment is the Key to Success. Two greatest drivers of performance are alignment and engagement. 'Employee engagement has become a top business priority for senior executives. In this rapid cycle economy, business leaders know that having a high performing workforce is essential for growth and survival. They recognise a highly engaged workforce can increase innovation, productivity, and bottom line performance while reducing costs related to hiring and retention in highly competitive markets'. If we take a step back and review the evidence: The latest MIT research shows that an employee's attitude towards an organisation has a significant effect on how they approach their jobs and how they treat customers...Recent research interestingly has also discovered that high levels of employee engagement are associated with the highest rates of profitability. It's no coincidence. An engaged valued employee aligned with an organisations strategic direction will always add value and in turn add to the bottom line. MIT research also discovered that while products and services many companies offer can appear similar on the surface exceptional service can be a competitive advantage. Competing through service is only possible when the organisation treats its employees as a valuable resource. Some big name companies have reported that middle managers who created compelling internal cultures far outperformed those with more technical expertise - so what's the secret? For starters the research is showing companies that focus on creating dynamic internal brand experiences that match external brand promises just 'get' that aligning employees is the way to be more profitable - simple right! MIT took it further developing an employee engagement scorecard and doing a study on 75 companies across the globe. They measured; employee satisfaction, employee identification, employee commitment, employee loyalty and employee performance. Then a follow up study was conducted to firmly link how employee engagement was connected to profitability (30 out of the original 75 companies were involved), the study confirmed that there is a direct correlation between employee engagement and a growth in profits. MIT ends the research by saying 'Although we recognise that the ultimate focus of most organisations is on customers, companies can benefit from adding employee engagement to their list of priorities'. 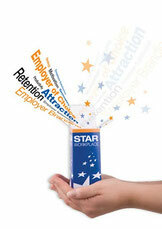 The HR Coach Research Institute also has some interesting data and insight around employee engagement and alignment. Research was conducted of 212 businesses from 2008 to 2011 covering; strategy implementation, employee performance, employee engagement and internal processes - way ahead of the trend. Using unique data sets from the STAR Workplace Program to identify emerging trends, this study provided a unique view into the evolutionary nature of work and the barriers and enablers of improvement. Through this research a new insight was gained into the multi-dimensional view of engagement. Employee engagement is already widely known as critical in achieving organisational success. The HR Coach Research Institute also dived further into the field of employer engagement, they found this factor exists within the business sector (organisations with less than 200 employees), they also found that engagement of the business owner is as important as that of the employees. Employers or business owners persisting with the strategy of 'business as usual' for an extended period of time was one of the clear markers of low employer engagement. To overcome this challenge a key finding in the research was the impact client engagement can have on overall business performance, namely the third dimension of engagement! The HR Coach Research Institute went further into the concept of client engagement and its impact on organisational performance. Findings were telling; Employers in high performing organisations were 24% more satisfied with the level of customer service than employers in low performing organisations - this was one of the largest variances and strongly indicated that client engagement is critical for overall improved organisational performance! Keeping employees engaged and aligned to the organisational strategic direction can have a major impact on an organisations success, whether the organisation is for profit or not for profit. Engaged employees will pass on their enthusiasm to customers and stakeholders and they will develop and deliver better products and services - thereby positively impacting sales and profit! If you would like to read more into the STAR Workplace Program and how it can help you lift performance and increase profit within your business, contact you local coach, visit our HR Coach Website or contact the HR Coach Office on 1300 550 674. To find out more you can also download our White Paper: Accelerating Performance through Client Engagement.